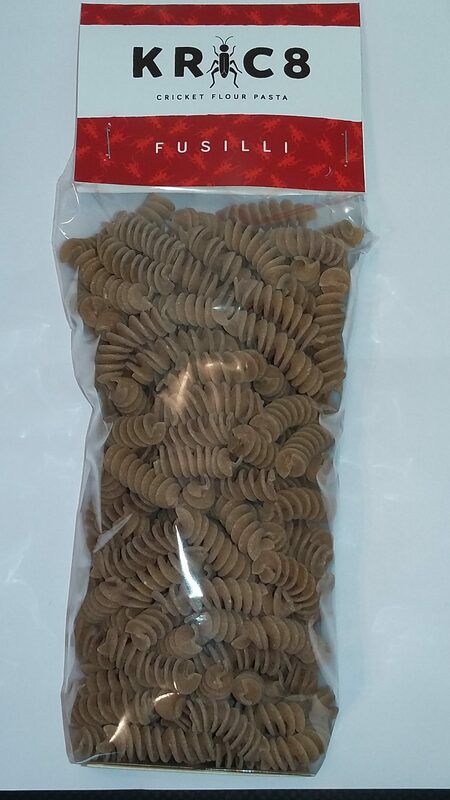 Kric8’s delicious Fusilli is made with a mixture of wheat flour, durum wheat flour and 10% cricket flour (powder) before being passed though a bronze die and slow dried. Crickets are rich in protein, iron and B12 and contain the 9 essential amino acids that we require for health and we use sustainably farmed Canadian crickets that have been roasted before being milled into a powder. Why is a bronze die important? Traditionally, pasta was made by extruding the dough through bronze dies which would give it a rough texture helping any sauce used stick to it, but as companies increased their pasta production the bronze die gave way to dies coated with Teflon which gave the pasta a smooth finish.